A Frenchman, count Gaston de Chasseloup-Laubat set the first land speed record December 18, 1898 at a dizzying 39 miles per hour. Recently, an Austrian daredevil, Felix Baumgartner, jumped from twenty-four miles above Earth, breaking the speed of sound, and free-falling at 833.9 miles (1,342 kilometers) an hour before releasing his parachute. Throughout history, people have been fascinated with speed—and so should YOU! Speed of business operations translates to dollars—increased sales capacity, higher productivity and worker satisfaction, lower unit costs, quicker turnover of inventory, faster billing and collection cycles, accelerated cash flow, and happy, loyal customers. What’s not to like? In Old English, “sped” meant success or thriving. In business, it means much the same thing. The speed at which a company churns out products and services—its throughput—has much to do with its success. Creating a speedy business—high throughput—has much more to do with removing time-waste and delays in business processes than it does with how fast people work. The true speed of a business system or process is the total elapsed time it takes to go through one system cycle—the first step to the last step—including idle time. For every 25% reduction in elapsed process time, productivity doubles and costs drop by 20% (George Stalk, “Competing Against Time”). Whether applied in the factory, the workshop, the store, or the office, here are seven strategies that will accelerate the throughput of your business operations, and lower overall costs. Create Smooth-running Business Systems – Get rid of steps in your business processes that do not add value to customers, such as inspection, rework, and unnecessary movement. Avoid overproduction and inventory buildup. Eliminate the idle time that work sits around on pallets or in-baskets. Pace your business systems with sales orders. The steady tortoise, not the hare, wins the race. Elevate Bottlenecks – Look around your operation and notice where things are getting bogged down—the bottlenecks. Find ways to elevate the constraints to non-constraints. Your individual processes and your entire business are only as fast as the slowest point. Bottlenecks and weak links in a chain of tasks kill throughput! Reduce Process Downtime – Plan better. Downtime is very expensive. Avoid stop-start work-flows. When people switch back and forth between tasks, there is a great loss of concentration and momentum. Worker errors rise. Performance is hard to measure. Throughput drops significantly (see System Busters). Keep It Clean and Simple – Reduce the physical path, clutter, barriers and distractions. Minimize complexity, customization, and exceptions in making and delivering your products and services. Eliminate uncertainty and excessive employee discretion caused by inadequate policies or procedures. Lift Your People – Improve employee performance with training, accountability, performance standards, reporting, recognition and incentives. Inject the fun-factor. Provide a safe and pleasant work environment with good communication systems. Focus on Speed – At your weekly Business Improvement Workshops, discuss specific ways to create fast business systems and processes. Start with systems that touch customers. At future meetings, report results and celebrate improvements. Customers—both internal and external—want things fast, or at least on time, as scheduled, or as promised. Strive to provide a quality product faster than your competition (lead-time) in order to differentiate yourself and become the best in your target market. 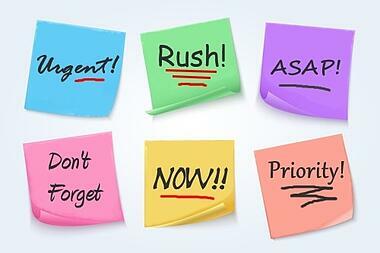 Remember: shorter lead-times also increase sales capacity, billing cycles, customer loyalty, and profit. You don’t need a lot of analysis to make significant improvements. Simple observation and reasoning can help you quickly reduce delay, boost speed, and cut costs. 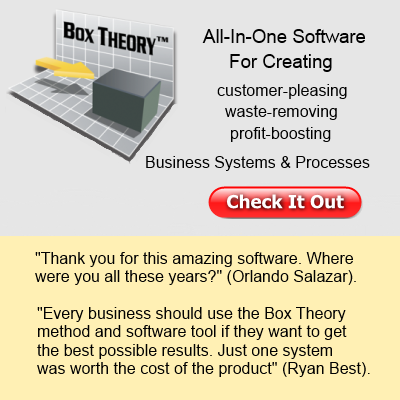 For a more in-depth analysis that will get your systems in high gear, you need Box Theory™ Gold software. It will help you diagnose problems and prescribe remedies to dramatically increase speed and throughput. I predict that a little improvement to just one of your business systems will offset the cost of this powerful software tool. So, what do you say, let’s get going today! How efficiently people get work done has as much to do with business processes as it does with the productivity of employees. 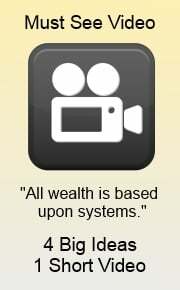 In fact, the design and quality of a business system largely determines the productivity of the people working in that system. People who are part of a good system or process will not only produce more, but can work above their pay grade. For example, a $10.00 per hour college student working with the Box Theory™ Software system can create value worth ten times what he or she is getting paid (shameless plug). Create and document business systems, including the system components and procedures—like the ingredients and steps of a recipe. Each of your core systems should have a single purpose and productivity goal. Involve team members in the system design to get buy-in and support. Make one person the owner of the system or process and accountable for its results. However, when performance is unsatisfactory, avoid blaming people for the problems; first look for flaws within the system. This may include evaluating your hiring or training systems. 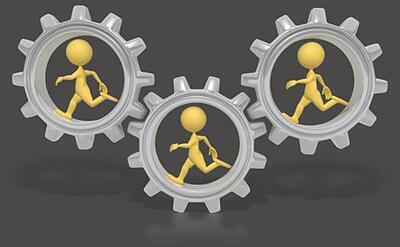 Standardize business tasks so workers do the same thing every time. Repetition improves worker skills, productivity, and is the secret to consistent results and predictable profits. Stick with the system until an innovation makes it even better. Track the performance of systems in real-time and compare actual results with expected results. Use the data to make adjustments and improvements as you go. Numbers drive all process improvements. Pay special attention to your key performance indicators (KPIs). Continually strive to elevate the constraint on a system or process. In other words, improve the weakest step or eliminate a bottleneck that is dragging down performance. This will increase the productivity of the entire system and the sales throughput of the whole company. Reduce duplication of effort and lost time that come from excessive mistakes and rework. Improve the system to reduce process errors to less than 1%. Six Sigma methods can expose the hard-to-find causes of your quality problems. Prevent system downtime, start-stop work-flow, delays, half-finished projects, and the work-in-process that is sitting around just waiting to be worked on. These system-busters ruin concentration, continuity, and momentum that kill productivity. They also increase the risk of operator error, and make it difficult to measure performance. Reduce the loss of time, energy, and efficiency due to poor layout, clutter, general disorganization, unsafe conditions, distractions, and unnecessary walking or movement. Multiple employees over the course of a year will burn up a lot of dollars dealing with these system speed bumps. Keep the process as simple as possible to accomplish the stated objective. If feasible, reduce customer options and choices, special handling, exceptions to routine (e.g., customization, back-orders), employee discretion, and complexity, all of which hinder system flow. Let customers and vendors do as much of your work as possible (e.g., vendors can pre-price goods or drop ship; customers can pump gas, buy tickets online, or serve themselves at buffet-style restaurants). Like the tortoise and the hare, a sustained and steady pace, rather than occasional brilliant bursts of speed, wins the race. The same holds true in business processes. The most optimized processes are paced and synchronized with sales demand and with on-hand inventory. The three work together in harmony so that you have just enough inventory to process today’s sales orders. Don't get behind and lose customers. Don't over-produce and build excess inventory. While this is easier said than done, all improvements in this direction will increase throughput and decrease costs. Work-in-process and excess inventories are enemies to productivity and quality. 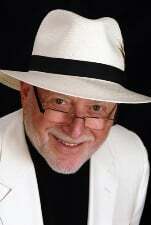 Effective business systems shape the patterns and habits found in every high-octane business culture. By implementing good systems, you will have happier customers and employees, and maximum profits for stakeholders. 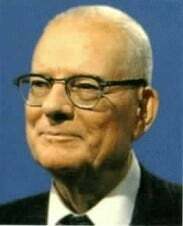 George Stalk, “Competing Against Time,” states that every 25% reduction in elapsed process time will double productivity and reduce costs by 20%. That sounds like something worth shooting for. Wouldn’t you agree? Now, pick an item on the list above and go make one change today that will improve productivity and cut your operating costs!